No beer for me, thanks! 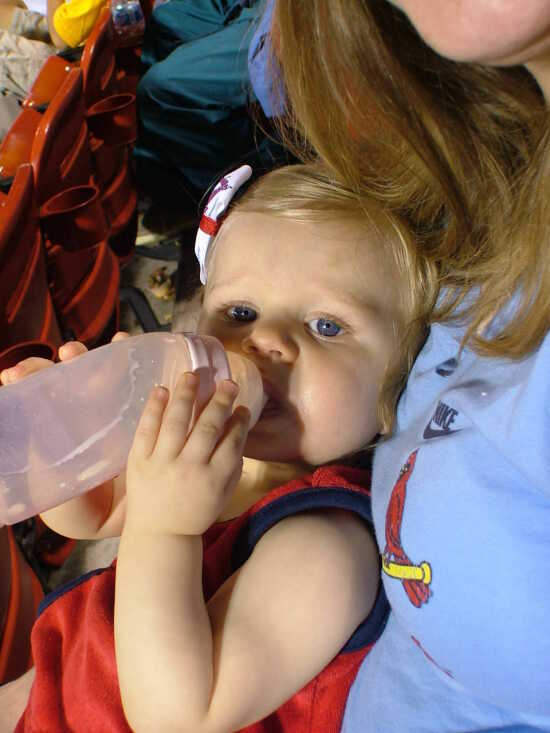 For her eleven month birthday, Layla Marie went with Mommy and Papa to the Cardinals game. She was a trooper, and here she is enjoying her own frosty beverage at the ball park. Go Cards!